Are you trying to pick a wedding date? Wondering what the barn will look like at different times of year? We’re here to help! For the next several posts, we share our top 5 reasons to marry in each season, beginning with Havila’s favorite (autumn!). 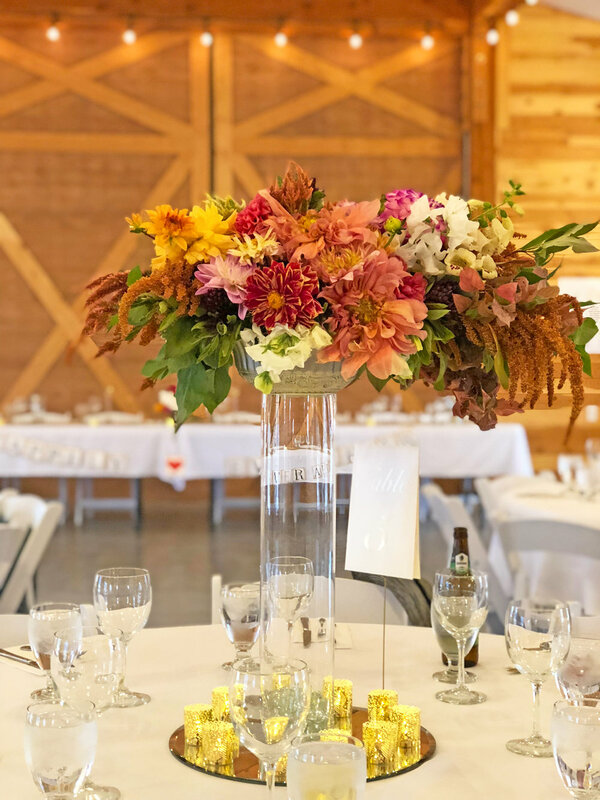 What better way to complement the barn than with the colors of harvest? Grab your favorite farmer-florist and go wild with burgundy dahlias, pumpkin celosia, and berry leaves. These beauties are from Agile Goat Flower Farm. #4: Give Me Pie. And Lots of It. Trust us, no one will complain if you skip the flowers and make pie your table centerpiece. To make sure everyone gets a taste, line the tables up family-style — then everyone can share! This spiced peach dainty was made from scratch at Bernice’s Bakery. 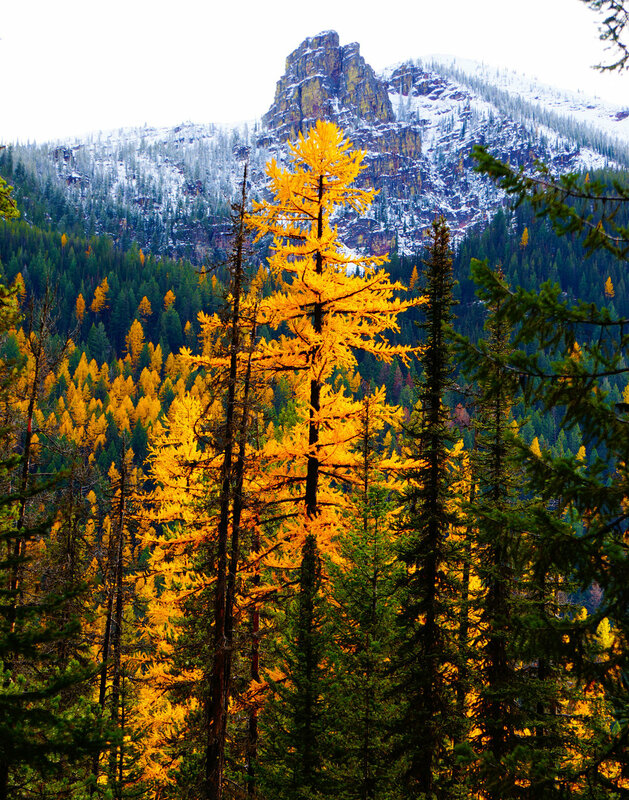 Oh, the larches. On Sunday, when you’re tired of talking to people and just want to escape with your new spouse, take a drive or a hike out to the Missions and revel in some golden glory. The alpenglow is at its finest in September. Want a ceremony that will knock your guests’ socks off? Then mix up the traditional wedding schedule and have dinner before you wander down to the meadow to exchange sunset vows. #1: Gather ‘Round the Campfire. Our number 1 reason to get married in the fall has to be the campfire, as it is the place you toast your toesies, laugh with your friends and relations, and channel your inner cowboy poet. Want more information about hosting a wedding here? Please give us a call at 406-240-9903. We look forward to speaking with you!